We have been making plant backpacks out of every type of material here at the North Carolina residency, including used belts and old backpacks that get ripped up and recycled into the plant backpack pattern. A great deal of the fabric for this project in Yancy and Mitchell counties was donated by Glen Raven Technical Fabrics in Burnsville. They make things like Sunbrella and super fabrics for Jansport and the US forces. If you have any old backpacks or suitcases or belts that you would like to donate, bring them by the Green Plum gallery this week from 1-5 p.m. We can make them into a Germination Corps. Plant Backpack! Here is the pattern table in the gallery workshop. 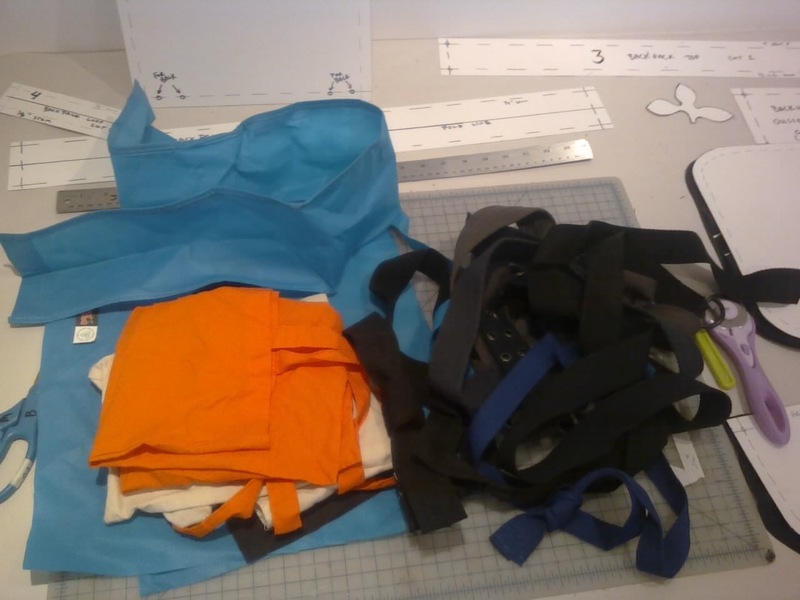 You can see all the woven belts we found and are using for shoulder straps on the right. Old shopping bags work well for the pattern pieces. 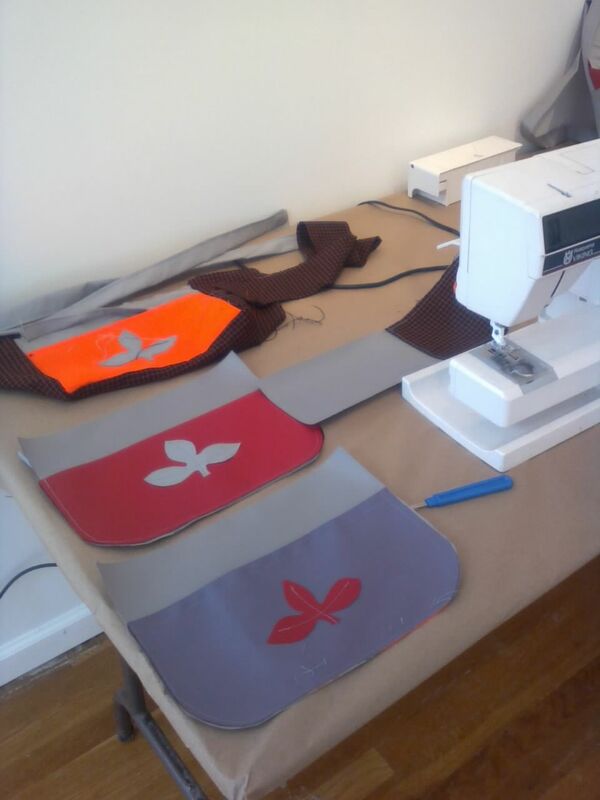 Some kids-sized shoulder plant bags made with the Glen Raven donated fabric. The emblem of the Germination Corps., the three leafed sprout, is a necessary component of each bag and is a quick identifier of the project. This entry was posted in Making and tagged backpack, emblem, Germination, Glen Raven Technical Fabrics, Green Plum Collaboratory, Jansport, making, North Carolina, pattern, Plant, sprout, Textile. Bookmark the permalink.